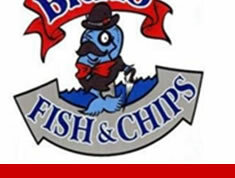 Brits Fish and Chips has been serving up traditional fish and chips since 2002. The following article was published in the Lifestyle section of The Edmonton Sun on Saturday, August 23, 2003. No one knows how to make traditional fish and chips like the Brits and Englishman Paul Lawson is out to prove it. His eatery, Brits Fish & Chips at 6904 77 St., has netted so many fans since opening a year ago that it's already doubled in size, has 14 staff and he's planning a second location on the north side. "I only use quality loin cuts of cod and haddock - none of this pollock rubbish the other restaurants serve," says Lawson, in the blunt manner typical of northeastern England where he was born. "They use the tail ends and the fish is square! It's awful," he adds. Pollock is a low-grade fish commonly used in frozen and processed fish products. By comparison, Lawson's cod and haddock portions are large and irregular-shaped - as they should be - and cooked in a light and crisp batter. Inside the fish is moist, white and flaky. His chips - don't call them french fries - are made from fresh potatoes on-site rather than the frozen varieties favoured by many fast food-outlets. Clearly it's a recipe for success, because, not only does he regularly have lineups out the door, he also reckons there have been four serious offers to buy the business. "I was taught at an early age the way to a great meal is simply to use quality ingredients," says Lawson, 32, who's married to Michelle, an Edmontonian. 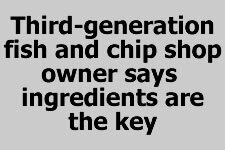 He's the third generation of his family to run a "chippie". "I was eight when I started helping out," he recalls. "I had to pour 50-pound bags of spuds into the rumbler (a special machine that cleaned and sliced potatoes)." He ran several successful shops in England and Scotland before moving to Edmonton a couple of years ago. "I was always excited by the sounds, the sizzling and the smell in the shop; it was magical." It's that unique atmosphere - missing from what he describes as "clinical" Edmonton fish restaurants - that Lawson has re-created at Brits. "Every now and then we'll start singing," he says of the upbeat mood he instills at the restaurant. He imported a commercial rumbler and large, deep-fat fryers from the U.K. because he couldn't find the right equipment in Canada. "One place showed me this fiddling hand-cutter that does one potato at a time. I go through 1,000 pounds a week so that was no good. "Fryers are also important because the depth of the fat and the heat are really important," he says. He even had to tweak his batter recipe because Canadian flour is different to British. Brits' customers place orders at the counter from which the kitchen is clearly visible. About 40% of the business is for takeout - although health regulations prevent him wrapping the fish and chips in traditional newspaper. Most people eat in, accompanying their meal with an imported British ale. There's seating for 65. 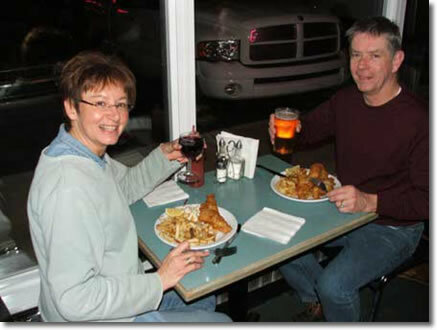 In addition to cod and haddock - brought in from the Maritimes by a local supplier - he serves sole and salmon. Also available are skate and hake, which are not well known in Canada but are popular back home. Haggis and white pudding appear on the menu, a nod to his Scottish experience. Deep-fried Mars bars are a sinful sweet treat. And don't forget mushy peas, a traditional accompaniment to fish and chips, made from dried marrow fat peas "and lots of love", Lawson chuckles. He admits he took a gamble opening a fish and chip restaurant in landlocked Edmonton, thousands of kilometers from the nearest ocean and things that flop. A couple of local seafood suppliers turned him away when he was trying to get Brits started, accusing him of setting his standards for quality too high. He praises the Sherwood Park distributor "that was brave enough to take me on." Naturally, Lawson's shop attracts a lot of customers with British backgrounds, nostalgic for a taste of old Blighty. It's even become a regular meeting place for a large group of fans of the long-running British television show Coronation Street. Ironically, Lawson has developed a mild allergy to fish in recent years. "I can taste it, but if I swallow it I get a tingling in my throat," he says. Currently, he's trawling for the right person to help him run his second Edmonton chippie. "Of course it has to be Brit. You can't take the Brit out of Brits," he laughs. 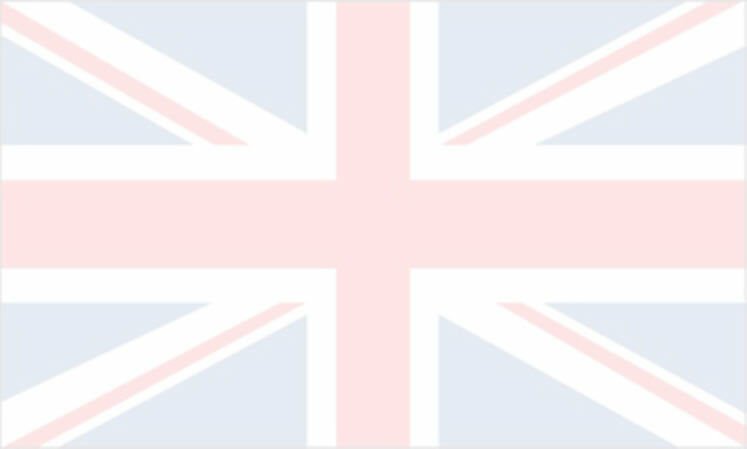 Brits Fish & Chips. All rights reserved.